Achieve the french girl-approved look by pairing tonal colors together. 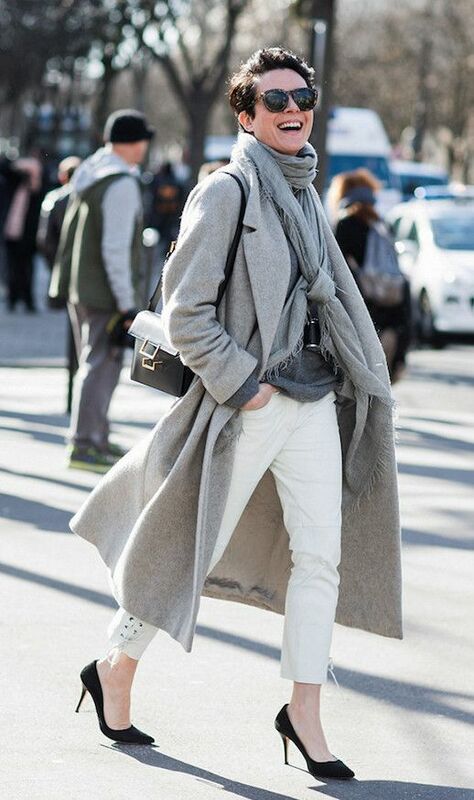 This editor wore a gray coat, gray scarf and darker hued gray t-shirt with white jeans and black accessories. The matching colors bring this look together and give off sophisticated and classic vibes.